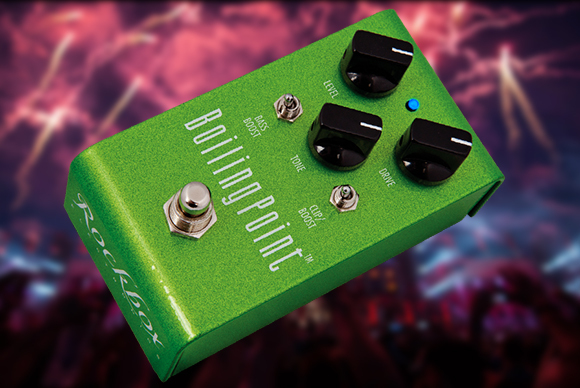 The Boiling Point™ Overdrive Boost incorporates a 3 position diode selector for a nearly endless variety of harmonic flavor. In the Plexi mode, the pedal has very Marshall-like response. For the Symmetrical Overdrive mode, we gave the pedal a truly organic, tube-like distortion, with greater output. You will notice the overtones and response is like no other pedal. The middle position is a clean boost, with more than enough gain to send your favorite tube amp into overdrive heaven. While we gave the Overdrive Boost a tremendous amount of gain, we paid close attention to how the pedal cleans up. If you are a volume knob player, you will love how this pedal will clean up for a thick, creamy clean rhythm sound. True-bypass switching.